There is every reason to celebrate and be proud of the achievements that America has undergone. In this case Henry Cabot makes a proud statement that shows how much he admires America, despite the wrong that she has done in the past. He makes it clear that he is aware of the name calling of America by other nations and addresses the issue in a way that is not that decent at all, he suggests, “You may call me selfish if you will, conservative or reactionary, or use any other harsh adjective you see fit to apply, but an American I was born, an American I have remained all my life. I can never be anything else but an American, and I must think of the United States first, and when I think of the United States first in an arrangement like this I am thinking of what is best for the world, for if the United States fails, the best hopes of mankind fail with it.”This a very direct and broad statement that anyone could make to udermine other nations as if they do not exist only America does. Basically he is making a point that America is a representative of the world and if it fails the world goes down too. I believe its a good thing to be patriotic but its another to undermine other nations as if we do not need them at all. A close example is the issue of oil, America does not produce enough oil to supply the whole nation , of which the rest hash to be imported. This is a distinction between just rhetoric and facts. It is very crucial to watch our tone especially when dealing with issues partaining to foreign relations. It is a field that need expects to rally on , not anyone who has something to say. He also goes back to praisng America, ” Our first ideal is our country, and we see her in the future, as in the past, giving service to all her people and to the world. Our ideal of the future is that she should continue to render that service of her own free will. She has great problems of her own to solve, very grim and perilous problems, and a right solution, if we can attain to it, would largely benefit mankind”, i do not even gather why Mr Cabot should undermine other nations and later want to give a service to them. This is a typical politician who would say anything to make people happy and do the other. when I read this message by the former Pressident of the United States of America Grover Cleveland, i immediately thought of the first landing thats talked about in, “Pocahontas and the Pohatan Dilema”, the British wanted to appear innocent but they knew that they had a mission to settle , regardless of what the Indians thought.” In the case of Hawaii, unfortunately it was already part of the Destiny as suggested by the President that ‘I suppose that right and justice should determine the path to be followed in treating this subject. If national honesty is to be disregarded and a desire for territorial extension, or dissatisfaction with a form of government not our own, ought to regulate our conduct, I have entirely misapprehended the mission and character of our Government and the behavior which the conscience of our people demands of their public servants.”The queen had no choice but to give in as the United States had already deployed troops in the island as a sign of power and intimidation against any form of resistence. The battle was won before it even started , the Queen of Hawaii was a victim of a planned mission . The President denounced millitary deployment and pretened as if he did not know about it, yet the first thing he did was to demand amnesty for those who carrried out the mission, ” The conditions suggested, as the instructions show, contemplate a general amnesty to those concerned insetting up the provisional government and a recognition of all its bona fide acts and obligations. In short, they require that the past should be buried, and that the restored Government should reassume its authority as if its continuity had not been interrupted.”Already the U.S President is seen to be taking charge and telling the Queen of Hawaii what had to be done. There is not much of an apology or signs of withdrawal , but the emphasis is on pretending as if nothing happened and ignoring the fact that the take over had just begun. This stlye of invading is very effective because it leaves the victim without a choice but to take directives from higher authority, which in this case is the President of the United States of America Grover Cleveland. Similarly the current President George Bush was dodging shoes last yesterday in Iraq because of issues related to the subject of invasion. Iraqis feel like their country is being run by America and their people are not treated with respect and dignity. Its just an observation, i think there is some sort of similarities partaining to these two situations. 1898 was also a good year for American expansion, Finally Spain could not stand the heat and decided to evacuate the territories in December 1898. “Spain will, upon the exchange of the ratifications of the present treaty, proceed to evacuate the Philippines, as well as the island of Guam, on terms similar to those agreed upon by the Commissioners appointed to arrange for the evacuation of Porto Rico and other islands in the West Indies, under the Protocol of August 12, 1898, which is to continue in force until its provisions are completely executed.” It is sad that former president William McKinley was in support of the idea of invading the islands that were formerly occupied by the Spanish. This treaty of 1898 shows how powerless and desperate the Spanish were. Despite their efforts of letting former President Mckinley know that they were willing to, “settle preponderantly on his terms” he ignored the Spanish and left it up to congress to decide. I strongly believe that the President had a mission to accomplish and he wanted to prove millitarily that America had the capabilities of aquiring as much land as they pleased without objections. America had a destiny then, and the Spanish were very unfortunate to be viewed as an obstacle which resulted in a war. Though the Spanish lost the war, they were compensated by the American government because the territories they occupied were part of the American destiny. The most important thing is that peace was made and human lives were saved , which is good for democracy. People still have differences but we live together ,and we talk about our history as a way of bridging the cultural divides that exist within us. Whaever differences our forefathers had, its up to us to realize their mistakes and create our own destinies. The treaty of cession which was signed on March 1867 between the emperor of All Russians and the United States of America is really an example of how powerfuful nations dominate the world. The natives are being refered to as uncivilzed tribes. Typically the former russian colonies were sold for only 7 million dollars inluding the inhabitants. I do not understand why a country should put on sale without the consent of the natives. Firstly the Russians invaded the territories and settled in a land that was not theirs, build structure s like forts , roads Government offices e.t.c at the expense of the natives whom they called uncivilized. What justified them being the rightful owners of the land to the extent that they believed the territories were worth only 7 million dollars. It is sad but true that poweful nations aquired worlth by either looting or selling land and people to further thier personal interests. The treaty of cession is a legal document signed by two powerful nations who both have their own interests in the territories. These deals further explain why America is such a huge and largely diverse country. All of us have learnt from the mistakes of the past that humans ought to be treated with respect and dignity regardless of their race , ethnicity e.t.c. –I thought that Hamilton was very bold/brave to critize the government so openly, but I do admire what he did. I like how he states what he wants to talk about and just seeing the topics I know that he is very serious and wants to address everything and not just hide everything. I love when Hamiliton says ,”It has been frequently remarked that it seems to have been reserved to the people of this country, by their conduct and example, to decide the important question, whether societies of men are really capable or not of establishing good government from reflection and choice, or whether they are forever destined to depend for their political constitutions on accident and force”. I think this is such a deep and meaningful thing he is saying and that it is true. When he says the part about political constitutions on accident and force, I was in awe that he so blantanly said that, but it does show that our country was free. All the way at the end of the page there is two documents each a petition against the annexation of Hawaii. I had no idea that there were two seperate petitions going, one for the men and one for the women. I thought that was really unnecessary, I know that back then women were still just the stay at home wives, but honestly for them to have to have their own petition. If it really was important I would figure that the men would be happy to have more signatures on the petition and not just think that a women should not sign their petition. 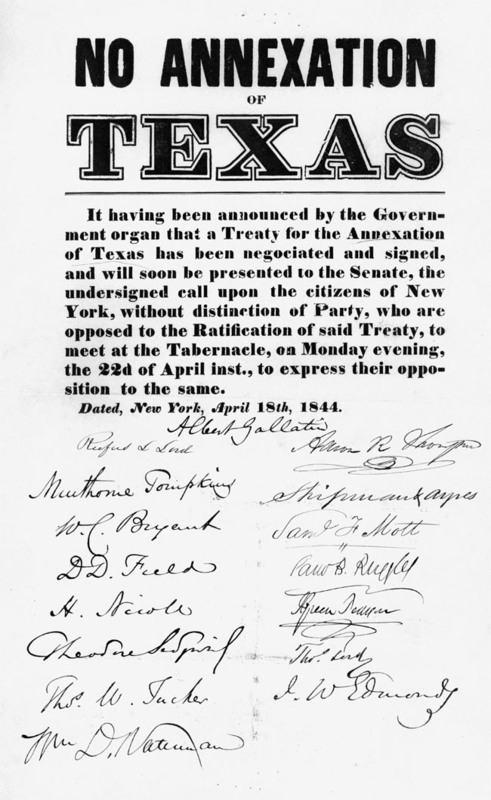 Since the men did not want the women to be apart of that I was happy the women started their own petition because it shows that they would not take no for an answer when they really believed in opposing the annexation. Every time I see this kind of discrimination, it makes me very angry and am glad that the country is not like that any more today. This speech is a verbatim transcript of “The Speech” given as a portion of a pre-recorded, nationwide televised program sponsored by Goldwater-Miller on behalf of Barry Goldwater, Republican candidate for the presidency whom Ronald Reagan actively supported. Not too long ago two friends of mine were talking to a Cuban refugee, a businessman who had escaped from Castro, and in the midst of his story one of my friends turned to the other and said, “We don’t know how lucky we are.” And the Cuban stopped and said, “How lucky you are! I had someplace to escape to.” In that sentence he told us the entire story. If we lose freedom here, there is no place to escape to. This is the last stand on Earth. And this idea that government is beholden to the people, that it has no other source of power except to sovereign people, is still the newest and most unique idea in all the long history of man’s relation to man. This is the issue of this election. Whether we believe in our capacity for self-government or whether we abandon the American revolution and confess that a little intellectual elite in a far-distant capital can plan our lives for us better than we can plan them ourselves. In this vote-harvesting time, they use terms like the “Great Society,” or as we were told a few days ago by the President, we must accept a “greater government activity in the affairs of the people.” But they have been a little more explicit in the past and among themselves–and all of the things that I now will quote have appeared in print. These are not Republican accusations. For example, they have voices that say “the cold war will end through acceptance of a not undemocratic socialism.” Another voice says that the profit motive has become outmoded, it must be replaced by the incentives of the welfare state; or our traditional system of individual freedom is incapable of solving the complex problems of the 20th century. Senator Fullbright has said at Stanford University that the Constitution is outmoded. He referred to the president as our moral teacher and our leader, and he said he is hobbled in his task by the restrictions in power imposed on him by this antiquated document. He must be freed so that he can do for us what he knows is best. And Senator Clark of Pennsylvania, another articulate spokesman, defines liberalism as “meeting the material needs of the masses through the full power of centralized government.” Well, I for one resent it when a representative of the people refers to you and me–the free man and woman of this country–as “the masses.” This is a term we haven’t applied to ourselves in America. But beyond that, “the full power of centralized government”–this was the very thing the Founding Fathers sought to minimize. They knew that governments don’t control things. A government can’t control the economy without controlling people. And they know when a government sets out to do that, it must use force and coercion to achieve its purpose. They also knew, those Founding Fathers, that outside of its legitimate functions, government does nothing as well or as economically as the private sector of the economy. Meanwhile, back in the city, under urban renewal the assault on freedom carries on. Private property rights are so diluted that public interest is almost anything that a few government planners decide it should be. In a program that takes for the needy and gives to the greedy, we see such spectacles as in Cleveland, Ohio, a million-and-a-half-dollar building completed only three years ago must be destroyed to make way for what government officials call a “more compatible use of the land.” The President tells us he is now going to start building public housing units in the thousands where heretofore we have only built them in the hundreds. But FHA and the Veterans Administration tell us that they have 120,000 housing units they’ve taken back through mortgage foreclosures. For three decades, we have sought to solve the problems of unemployment through government planning, and the more the plans fail, the more the planners plan. The latest is the Area Redevelopment Agency. They have just declared Rice County, Kansas, a depressed area. Rice County, Kansas, has two hundred oil wells, and the 14,000 people there have over $30 million on deposit in personal savings in their banks. When the government tells you you’re depressed, lie down and be depressed. So now we declare “war on poverty,” or “you, too, can be a Bobby Baker!” Now, do they honestly expect us to believe that if we add $1 billion to the $45 million we are spending…one more program to the 30-odd we have–and remember, this new program doesn’t replace any, it just duplicates existing programs–do they believe that poverty is suddenly going to disappear by magic? Well, in all fairness I should explain that there is one part of the new program that isn’t duplicated. This is the youth feature. We are now going to solve the dropout problem, juvenile delinquency, by reinstituting something like the old CCC camps, and we are going to put our young people in camps, but again we do some arithmetic, and we find that we are going to spend each year just on room and board for each young person that we help $4,700 a year! We can send them to Harvard for $2,700! Don’t get me wrong. I’m not suggesting that Harvard is the answer to juvenile delinquency. Yet anytime you and I question the schemes of the do-gooders, we are denounced as being against their humanitarian goals. They say we are always “against” things, never “for” anything. Well, the trouble with our liberal friends is not that they are ignorant, but that they know so much that isn’t so. We are for a provision that destitution should not follow unemployment by reason of old age, and to that end we have accepted Social Security as a step toward meeting the problem. But we are against those entrusted with this program when they practice deception regarding its fiscal shortcomings, when they charge that any criticism of the program means that we want to end payments to those who depend on them for livelihood. They have called it insurance to us in a hundred million pieces of literature. But then they appeared before the Supreme Court and they testified that it was a welfare program. They only use the term “insurance” to sell it to the people. And they said Social Security dues are a tax for the general use of the government, and the government has used that tax. There is no fund, because Robert Byers, the actuarial head, appeared before a congressional committee and admitted that Social Security as of this moment is $298 billion in the hole. But he said there should be no cause for worry because as long as they have the power to tax, they could always take away from the people whatever they needed to bail them out of trouble! And they are doing just that. No government ever voluntarily reduces itself in size. Government programs, once launched, never disappear. Actually, a government bureau is the nearest thing to eternal life we’ll ever see on this Earth. Federal employees number 2.5 million, and federal, state, and local, one out of six of the nation’s work force is employed by the government. These proliferating bureaus with their thousands of regulations have cost us many of our constitutional safeguards. How many of us realize that today federal agents can invade a man’s property without a warrant? They can impose a fine without a formal hearing, let alone a trial by jury, and they can seize and sell his property in auction to enforce the payment of that fine. In Chico County, Arkansas, James Wier overplanted his rice allotment. The government obtained a $17,000 judgment, and a U.S. marshal sold his 950-acre farm at auction. The government said it was necessary as a warning to others to make the system work. Last February 19 at the University of Minnesota, Norman Thomas, six-time candidate for President on the Socialist Party ticket, said, “If Barry Goldwater became President, he would stop the advance of socialism in the United States.” I think that’s exactly what he will do. Well, what of this man that they would destroy? And in destroying, they would destroy that which he represents, the ideas that you and I hold dear. Is he the brash and shallow and trigger-happy man they say he is? Well, I have been privileged to know him “when.” I knew him long before he ever dreamed of trying for high office, and I can tell you personally I have never known a man in my life I believe so incapable of doing a dishonest or dishonorable thing. An ex-GI told me how he met him. It was the week before Christmas during the Korean War, and he was at the Los Angeles airport trying to get a ride home to Arizona for Christmas, and he said that there were a lot of servicemen there and no seats available on the planes. Then a voice came over the loudspeaker and said, “Any men in uniform wanting a ride to Arizona, go to runway such-and-such,” and they went down there, and there was this fellow named Barry Goldwater sitting in his plane. Every day in the weeks before Christmas, all day long, he would load up the plane, fly to Arizona, fly them to their homes, then fly back over to get another load. During the hectic split-second timing of a campaign, this is a man who took time out to sit beside an old friend who was dying of cancer. His campaign managers were understandably impatient, but he said, “There aren’t many left who care what happens to her. I’d like her to know I care.” This is a man who said to his 19-year-old son, “There is no foundation like the rock of honesty and fairness, and when you begin to build your life upon that rock, with the cement of the faith in God that you have, then you have a real start.” This is not a man who could carelessly send other people’s sons to war. And that is the issue of this campaign that makes all of the other problems I have discussed academic, unless we realize that we are in a war that must be won. –After reading the speech, I was shocked about how open Reagan was about how he thought the other party’s views were wrong and should not be trusted. I like how he says that prosperity is not something the people should base the future on and I think that he is completely right on this because look at where we are now, in the middle of an economic crisis and it is because the goverment is not handling our money well. Overall I think Reagan’s speech is really from the heart and that he really does want to address the issues and not just “bag” on the other parties. I think that our government officials should focus on the issues and not how to make their opponents look bad. I wish I was alive when that speech was given to see how shocked everyone was. — I thought that it was interesting to see that there were people opposed to the annexation of Texas. Even more shocking was that they were planning a meeting for those opposed to go to in order to work to make sure Texas was not annexed. I thought it was very brave of the people to take a stand for what they wanted, even if it didn’t work. It also makes me curious as to why they did not want to be annexed and who all was involved with the committee. I wish that the signatures on the paper were more visible to see if anyone important in history has signed the document. If the church was a foundation upon which colonialists built this country, why now is the government fighting to separate the church from state matters? Could it be due to the fact that most of the religious based laws were inhumane and out rightly contradicted the Bible? Or do those politicians have something to loose if they are examined under a religious microscope?